I have further ancestor information on this family. 1. SYLVESTER10 BOARDMAN (LEVI9, NATHANIEL8, NATHANIEL7, NATHANIEL6, SAMUEL (BOARDMAN)5 BOREMAN, CHRISTOPHER (BOARDMAN)4, THOMAS3, THOMAS (THE ELDER)2, WILLIAM1) was born October 22, 1791 in Wethersfield, Hartford County, Connecticut, and died in Evansville, Vanderburgh County, Indiana. He married SUSAN BOARDMAN. 2. i. EDWARD TERRY11 BOARDMAN, b. 1816, New York. ii. CHARLES G. BOARDMAN, m. MARY SCOTT, December 02, 1838, Evansville, Vanderburgh County, Indiana (Source: (1) Vanderburgh County, Indiana Marriage Index., (2) Tri State Packet Vol 9, 1985-86, 138, States date of marriage by James Ingle, Sylvester and Susan Boardman , parents of the groom, give consent.). v. LOUISA BOARDMAN, m. TAYLOR, Evansville, Vanderburgh County, Indiana. vi. PIDELIA BOARDMAN, m. MCCALLISTER, Evansville, Vanderburgh County, Indiana. 2. EDWARD TERRY11 BOARDMAN (SYLVESTER10, LEVI9, NATHANIEL8, NATHANIEL7, NATHANIEL6, SAMUEL (BOARDMAN)5 BOREMAN, CHRISTOPHER (BOARDMAN)4, THOMAS3, THOMAS (THE ELDER)2, WILLIAM1) was born 1816 in New York (Source: 1860 Henderson, Kentucky Census, Stated he was born in NY.). He married (1) ELIZABETH SCOTT April 25, 1839 in Evansville, Vanderburgh County, Indiana (Source: (1) Vanderburgh County, Indiana Marriage License, pg.73, Copy in my files., (2) Tri State Packet Vol 9, 1985-86, pg. 138, States Edward and Elizabeth married Apr. 25, 1839 Bk. 1, pg. 73 by John W. Lillestonk Judge. Jane Kennerly, mother of the bride gives consent. ), daughter of JANE KENNERLY. She died July 03, 1854 in Vanderburgh County, Indiana. He married (2) ELIZABETH TAYLOR BECKWITH April 17, 1855 in Evansville, Vanderburgh County, Indiana. She was born February 16, 1830. 3. i. THOMAS MALCOM12 BOARDMAN, b. February 20, 1842, Henderson, Henderson County, Kentucky; d. July 18, 1927, Sikeston, Scott County, Missouri. ii. MARSH L. BOARDMAN, b. 1844.
iii. JEFFERSON D. BOARDMAN, b. 1846. 4. iv. ALBERT BOARDMAN, SR., b. March 24, 1848; d. February 27, 1927.
v. SARAH BOARDMAN, b. 1850.
vi. EDWARD BOARDMAN, b. 1852.
vii. LOU ANNETT12 BOARDMAN, b. August 19, 1856.
viii. JAMES WILLIAM BOARDMAN, b. February 08, 1859.
ix. ADONIRAN JUDSON BOARDMAN, b. February 22, 1860.
x. JOHN B. BOARDMAN, b. November 07, 1862.
xi. ELNORA MAE BOARDMAN, b. June 24, 1865.
xii. STEPHEN W. BOARDMAN, b. January 12, 1868. 3. THOMAS MALCOM12 BOARDMAN (EDWARD TERRY11, SYLVESTER10, LEVI9, NATHANIEL8, NATHANIEL7, NATHANIEL6, SAMUEL (BOARDMAN)5 BOREMAN, CHRISTOPHER (BOARDMAN)4, THOMAS3, THOMAS (THE ELDER)2, WILLIAM1) was born February 20, 1842 in Henderson, Henderson County, Kentucky (Source: Sikeston, Missouri Newspaper, states place of birth. ), and died July 18, 1927 in Sikeston, Scott County, Missouri (Source: Sikeston, Missouri Newspaper, "Thomas Malcom Boardman died Monday, July 18, at the age of 85 years, 4 months, and 29 days" 1927.). He married SARAH ELIZABETH DAY January 26, 1865 in Evansville, Vanderburgh County, Indiana (Source: Vanderburgh County, Indiana Marriage License, License issued Jan. 25, 1865. Filed Feb. 18, 1865. Book 5, pg. 121. ), daughter of LEWIS DAY and CYNTHIA GINAT. She was born October 23, 1847 in Henderson, Henderson County, Kentucky, and died September 11, 1924 in Sikeston, Scott County, Missouri. Thomas Malcolm Boardman died Monday, July 18, at the age of 85 years, 4 months and 2 days. And with the passing of this noble gentleman, the career of a man esteemed very highly by his friends and associates, ends. Thomas Boardman, the son of Edward and Elizabeth Boardman was born at Henderson, Kentucky, February 20, 1842. In 1865 he married Elizabeth Day. He lived most of his life in Indiana, until thirty years ago, when he moved his family to Missouri. To this couple, thirteen children were born, two dying in infancy. 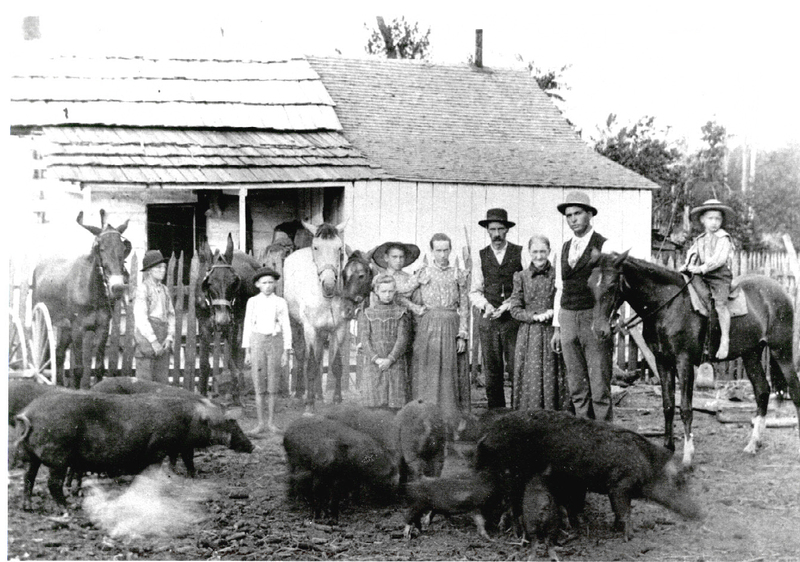 The family settled on the Major Ward farm, four and a half miles northeast of Miner Switch. All his life he has been a devoted Baptist and when he was 25 years old, he took up the ministry. He erected the Boardman Chapel and preached there for a number of years until he was too old to work or drive to the church. Six years ago, Mr. Boardman began to lose his health, so he lived with his children. He died at the home of his son, Lewis, with whom he had been living with for the past 14 months. Of his family, there are 8 children now living, Lewis, John, Chas., Judson, and Clarence, Nettie Holley of Evansville, Indiana, Tessie Ellise of Cairo, Ill, and Sally Frazer of Ill. Funeral services were held at the Chapel bearing his name at 2:30pm Tuesday. His body was laid to rest at Boardman Chapel Cemetery near the grave of his wife, who died three years ago. Of the splendid old couple, there are 48 grandchildren and 49 great grand children now living. 5. i. LEWIS EDWARD13 BOARDMAN, b. October 27, 1867; d. November 20, 1947. 6. ii. WILLIAM CHARLES BOARDMAN, b. March 01, 1877, Warrick County, Indiana; d. February 10, 1952. 7. iii. JOHN FRANKLIN BOARDMAN, b. February 02, 1876; d. 1951. 8. iv. ADONIRAM JUDSON BOARDMAN, b. October 18, 1882; d. January 29, 1964. 9. v. HENRY MALCOM BOARDMAN, b. August 09, 1887; d. October 31, 1918. 10. vi. ALBERT JEFFERSON BOARDMAN, b. April 06, 1880; d. 1918. 11. vii. MARY ELIZABETH BOARDMAN, b. June 18, 1866; d. June 17, 1925. 12. viii. SALLY ANN BOARDMAN, b. October 13, 1874; d. 1962, Boonville, Warrick County, Indiana. 13. ix. TESSA JANE BOARDMAN, b. July 06, 1872. 14. x. NETTIE MARIAH BOARDMAN, b. April 10, 1870, Evansville, Vanderburgh County, Indiana; d. January 31, 1951, Evansville, Vanderburgh County, Indiana. 15. xi. CLARENCE ALVIN BOARDMAN, b. April 13, 1890, Evansville, Vanderburgh County, Indiana; d. Bet. 1960 - 1969. 4. ALBERT12 BOARDMAN, SR. (EDWARD TERRY11, SYLVESTER10, LEVI9, NATHANIEL8, NATHANIEL7, NATHANIEL6, SAMUEL (BOARDMAN)5 BOREMAN, CHRISTOPHER (BOARDMAN)4, THOMAS3, THOMAS (THE ELDER)2, WILLIAM1) was born March 24, 1848, and died February 27, 1927. He married MARTHA SARAH SANDERLIN. i. ALBERT F.13 BOARDMAN, b. 1874; d. 1962. Burial: Grissard Cemetery, El Paso, AR. ii. GEORGE BOARDMAN, b. 1876; d. 1936.
iii. CLAUDE BOARDMAN, b. 1879; d. 1951. 16. iv. CLYDE S. BOARDMAN, b. Unknown; d. 1942.
vi. IVA BOARDMAN, m. WILLIAM MILTON BURNS. 5. LEWIS EDWARD13 BOARDMAN (THOMAS MALCOM12, EDWARD TERRY11, SYLVESTER10, LEVI9, NATHANIEL8, NATHANIEL7, NATHANIEL6, SAMUEL (BOARDMAN)5 BOREMAN, CHRISTOPHER (BOARDMAN)4, THOMAS3, THOMAS (THE ELDER)2, WILLIAM1) was born October 27, 1867, and died November 20, 1947. He married EMMA LOUISE DAZEY. She was born October 12, 1868, and died November 22, 1936.
i. EDWARD14 BOARDMAN, b. May 10, 1903, Evansville, Vanderburgh County, Indiana; m. RUBY TRUESDALE. ii. OZIE BOARDMAN, b. February 11, 1907. 6. WILLIAM CHARLES13 BOARDMAN (THOMAS MALCOM12, EDWARD TERRY11, SYLVESTER10, LEVI9, NATHANIEL8, NATHANIEL7, NATHANIEL6, SAMUEL (BOARDMAN)5 BOREMAN, CHRISTOPHER (BOARDMAN)4, THOMAS3, THOMAS (THE ELDER)2, WILLIAM1) was born March 01, 1877 in Warrick County, Indiana, and died February 10, 1952. He married ELIZABETH WALLACE December 16, 1897. She was born September 06, 1881, and died April 26, 1971. William and Elizabeth being baptized by Thomas Malcolm Boardman - note the time of year! iii. WILLIAM CHARLES BOARDMAN, JR..
7. JOHN FRANKLIN13 BOARDMAN (THOMAS MALCOM12, EDWARD TERRY11, SYLVESTER10, LEVI9, NATHANIEL8, NATHANIEL7, NATHANIEL6, SAMUEL (BOARDMAN)5 BOREMAN, CHRISTOPHER (BOARDMAN)4, THOMAS3, THOMAS (THE ELDER)2, WILLIAM1) was born February 02, 1876, and died 1951. He married (1) SALLY JOHNSON. She was born November 08, 1876, and died July 23, 1926. He married (2) LAVINA BAKER. i. RAYMOND L.14 BOARDMAN, b. November 19, 1897; d. 1961; m. ANNA LEE DAUGHERTY; b. February 19, 1899. 8. ADONIRAM JUDSON13 BOARDMAN (THOMAS MALCOM12, EDWARD TERRY11, SYLVESTER10, LEVI9, NATHANIEL8, NATHANIEL7, NATHANIEL6, SAMUEL (BOARDMAN)5 BOREMAN, CHRISTOPHER (BOARDMAN)4, THOMAS3, THOMAS (THE ELDER)2, WILLIAM1) was born October 18, 1882, and died January 29, 1964. He married (1) BERYL WELLS. He married (2) ELLA TOWER. She was born May 03, 1895, and died May 04, 1967.
ii. ADONIRAM JUDSON14 BOARDMAN, JR..
9. HENRY MALCOM13 BOARDMAN (THOMAS MALCOM12, EDWARD TERRY11, SYLVESTER10, LEVI9, NATHANIEL8, NATHANIEL7, NATHANIEL6, SAMUEL (BOARDMAN)5 BOREMAN, CHRISTOPHER (BOARDMAN)4, THOMAS3, THOMAS (THE ELDER)2, WILLIAM1) was born August 09, 1887, and died October 31, 1918. He married LULA KING September 1905. She was born July 24, 1887, and died April 21, 1970. 10. ALBERT JEFFERSON13 BOARDMAN (THOMAS MALCOM12, EDWARD TERRY11, SYLVESTER10, LEVI9, NATHANIEL8, NATHANIEL7, NATHANIEL6, SAMUEL (BOARDMAN)5 BOREMAN, CHRISTOPHER (BOARDMAN)4, THOMAS3, THOMAS (THE ELDER)2, WILLIAM1) was born April 06, 1880, and died 1918. He married JENIE DAVIS. 11. MARY ELIZABETH13 BOARDMAN (THOMAS MALCOM12, EDWARD TERRY11, SYLVESTER10, LEVI9, NATHANIEL8, NATHANIEL7, NATHANIEL6, SAMUEL (BOARDMAN)5 BOREMAN, CHRISTOPHER (BOARDMAN)4, THOMAS3, THOMAS (THE ELDER)2, WILLIAM1) was born June 18, 1866, and died June 17, 1925. She married SAMUEL LARKIN IRVIN November 13, 1884. He was born July 23, 1861, and died July 14, 1931. 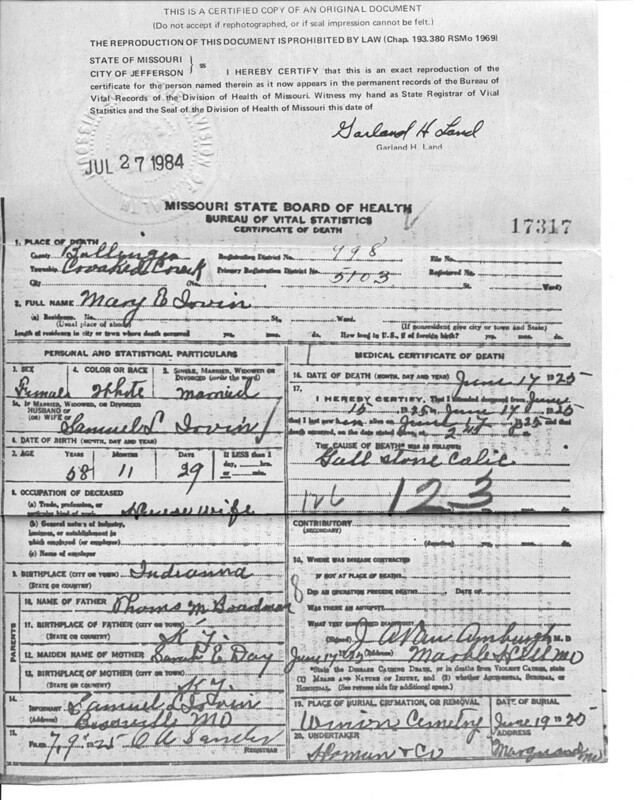 Mary Boardman Irvin's death certificate. Submitted by Judy Armstrong. 12. 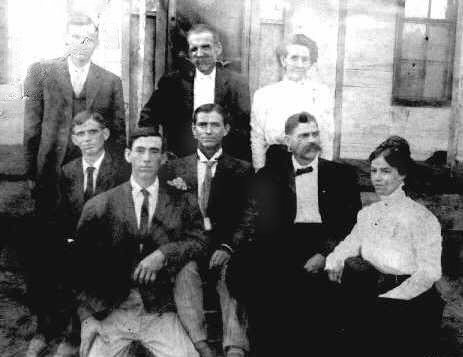 SALLY ANN13 BOARDMAN (THOMAS MALCOM12, EDWARD TERRY11, SYLVESTER10, LEVI9, NATHANIEL8, NATHANIEL7, NATHANIEL6, SAMUEL (BOARDMAN)5 BOREMAN, CHRISTOPHER (BOARDMAN)4, THOMAS3, THOMAS (THE ELDER)2, WILLIAM1) was born October 13, 1874, and died 1962 in Boonville, Warrick County, Indiana. She married JERRY FRAZER (Source: Sikeston, Missouri Newspaper, Sally's father's death announcement states her married name as Frazer.). He was born March 08, 1874, and died December 07, 1951. 13. TESSA JANE13 BOARDMAN (THOMAS MALCOM12, EDWARD TERRY11, SYLVESTER10, LEVI9, NATHANIEL8, NATHANIEL7, NATHANIEL6, SAMUEL (BOARDMAN)5 BOREMAN, CHRISTOPHER (BOARDMAN)4, THOMAS3, THOMAS (THE ELDER)2, WILLIAM1) was born July 06, 1872. She married (1) CLARENCE ELLIS in Cairo, Illinois (Source: Sikeston, Missouri Newspaper, Tessie's father's death announcement states her married name as Ellise.). She married (2) HENRY LUTES. He was born November 08, 1876. She married (3) O.L. BARTLETT. 14. NETTIE MARIAH13 BOARDMAN (THOMAS MALCOM12, EDWARD TERRY11, SYLVESTER10, LEVI9, NATHANIEL8, NATHANIEL7, NATHANIEL6, SAMUEL (BOARDMAN)5 BOREMAN, CHRISTOPHER (BOARDMAN)4, THOMAS3, THOMAS (THE ELDER)2, WILLIAM1) was born April 10, 1870 in Evansville, Vanderburgh County, Indiana, and died January 31, 1951 in Evansville, Vanderburgh County, Indiana. She married FREDERICK ISIAH HOLLEY December 25, 1887 in Boonville, Warrick County, Indiana (Source: (1) Supplemental Index to Warrick County Marriage Records, Vol. 2, 1860-1920., (2) Warrick County Indiana Marriage License, copy in my possession. ), son of MELVIN unknown and SYLAVETTE HOLLEY. He was born March 22, 1862 in Boonville, Warrick County, Indiana, and died November 30, 1953 in McCutchanville, Vanderburgh County, Indiana (Source: Evansville Courier, Obituary, December 1, 1953. Obituary notice listing survivors.). Lived on Mt. Pleasant road, just outside of McCutchanville, Indiana. They bought the farm from Nettie's family, Sarah and John Day (who are buried on the farm). They lived and worked on the farm before the Day's death. Fred was orphaned by the age of 13 according to Bessie's Bible. He was raised by Aunt Pol (Mary Ann Holley wife of William R. Holley). He was a farmer and later worked in a lumber yard. Fred & Nettie in Clarence's new car! i. BESSIE JANE14 HOLLEY, b. November 20, 1888, Boonville, Warrick, Indiana (Source: Index to Birth Records, Warrick County, Indiana 1882-1920, 153, Book H-3, pg. 13, Lists date of birth and parents of Bessie. ); d. January 16, 1975, Evansville, Vanderburgh County, Indiana; m. HERBERT F. GRIMWOOD, November 18, 1908, Evansville, Vanderburgh County, Indiana (Source: WPA Index, Vanderburgh County (Evansville), Marriage Record, 106, Lists date of birth, date of marriage, book 36 pg. 192.). Burial: McCutchanville, Vanderburgh, Ind. ii. SHIRLEY RALPH HOLLEY, b. September 08, 1892, Boonville, Warrick County, Indiana; d. October 06, 1954, Miami, Florida; m. FRIEDA ANIETA DEICKEN, December 30, 1914, Evansville, Vanderburgh County, Indiana (Source: WPA Index, Vanderburgh County (Evansville), Marriage Record, 106, Lists Groom's name, date of marriage, Book 58 pg. 211. ); b. September 03, 1894, Henderson, Henderson County, Kentucky; d. August 08, 1965, Evansville, Vanderburgh County, Indiana (Source: Indiana Vital Records, Death Certificate.). iii. AUGUSTA HOLLEY (Source: Index to Birth Records, Vanderburgh County, Indiana, 200, Book H-5, pg. 66. Lists parents and birth date of Gus. ), b. August 03, 1896, McCutchanville, Vanderburgh County, Indiana; d. December 23, 1934, Grand Rapids, Michigan. Gus left home and joined the circus. He was killed in an accident in Grand Rapids Michigan. iv. FLORENCE EDNA HOLLEY, b. December 07, 1898, Boonville, Warrick County, Indiana; d. May 09, 1978, McCutchanville, Vanderburgh County, Indiana. Never married. v. CLARENCE E. HOLLEY, b. November 09, 1899, McCutchanville, Vanderburgh County, Indiana; d. March 29, 1957, McCutchanville, Vanderburgh County, Indiana; m. (1) EVAH WINFIELD; d. August 1978; m. (2) MAY GEORGE, April 28, 1921, Gibson County, Indiana. 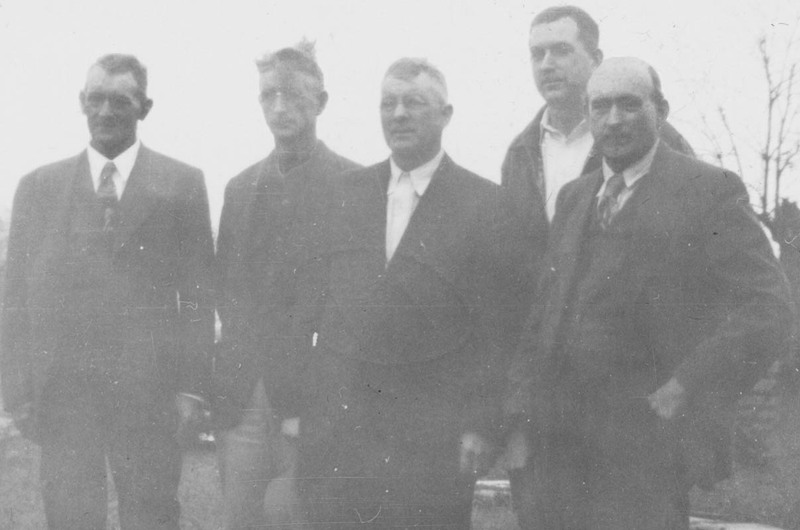 More About CLARENCE E. HOLLEY: Burial: McCutchanville, Vanderburgh, Ind. vi. CURTIS HOLLEY (Source: Index to Birth Records, Vanderburgh County, Indiana, 200, Book H-6, pg. 3. Lists parents and birthdate of Curtis. 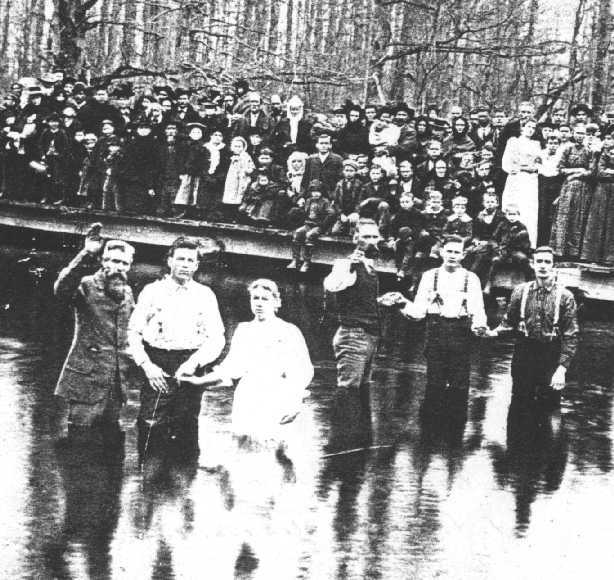 ), b. November 09, 1900, McCutchanville, Vanderburgh County, Indiana. vii. ALVY CECIL HOLLEY, b. October 30, 1903, McCutchanville, Vanderburgh County, Indiana; d. August 06, 1963, Evansville, Vanderburgh County, Indiana (Source: (1) Evansville Courier, Painter Hurt in Fall., (2) Vanderburgh County Death Certificate, August 6, 1963. ); m. LILLIAN MARY SMITH, December 18, 1926, Posey County, Indiana (Source: Posey County Marriage Records, Original in my possession. ); b. November 16, 1906, Evansville, Vanderburgh County, Indiana (Source: (1) Birth Records, Vanderburgh County, Indiana, Book CHD Pg. 119., (2) Evansville City Department of Health- Birth Records, Copy is in my possession. ); d. November 23, 1970, Shreveport, Caddo Parish, Louisiana (Source: Caddo Parish, Louisiana Death Certificate, Nov. 23, 1970.). viii. GLADYS MARIE HOLLEY (Source: Index to Birth Records, Vanderburgh County, Indiana, 200, Book H-7, pg. 280. Lists parents and birthdate of Gladys. ), b. March 07, 1906, McCutchanville, Vanderburgh County, Indiana; d. April 29, 1942, McCutchanville, Vanderburgh County, Indiana. Burial: McCutchanville, Vanderburgh, Ind. ix. DOROTHY HOLLEY, b. May 03, 1911, McCutchanville, Vanderburgh County, Indiana; m. ROBERT HILLMAN SCHICK, December 23, 1939, Rock Island, Illinois. 15. CLARENCE ALVIN13 BOARDMAN (THOMAS MALCOM12, EDWARD TERRY11, SYLVESTER10, LEVI9, NATHANIEL8, NATHANIEL7, NATHANIEL6, SAMUEL (BOARDMAN)5 BOREMAN, CHRISTOPHER (BOARDMAN)4, THOMAS3, THOMAS (THE ELDER)2, WILLIAM1) was born April 13, 1890 in Evansville, Vanderburgh County, Indiana, and died Bet. 1960 - 1969. He married MARTHA CLARK June 25, 1910. She was born November 19, 1889, and died April 14, 1977. 16. 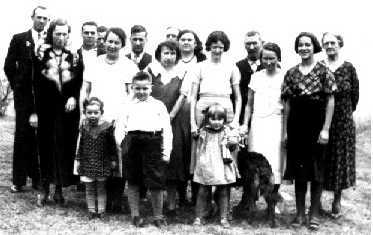 CLYDE S.13 BOARDMAN (ALBERT12, EDWARD TERRY11, SYLVESTER10, LEVI9, NATHANIEL8, NATHANIEL7, NATHANIEL6, SAMUEL (BOARDMAN)5 BOREMAN, CHRISTOPHER (BOARDMAN)4, THOMAS3, THOMAS (THE ELDER)2, WILLIAM1) was born Unknown, and died 1942. married Florence Britton.